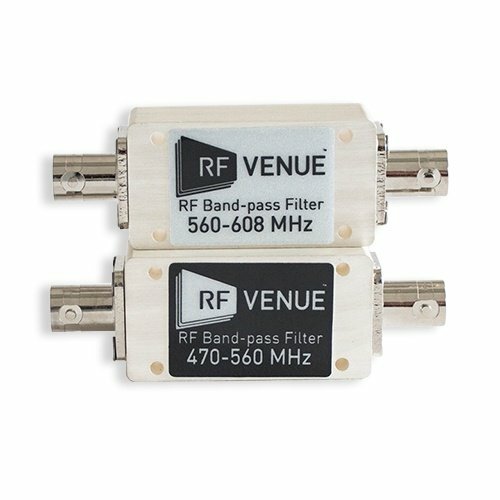 RF Venue band-pass filters help eliminate "out of band" signals that can saturate the front end of wireless microphone receivers and can greatly improve dynamic range by reducing noise and third party interference outside the range of operation. 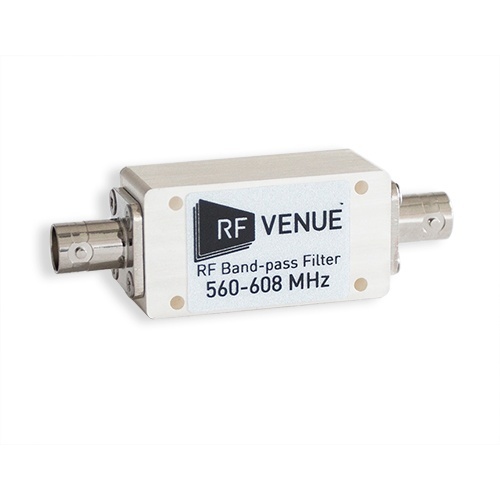 Featuring industry standard BNC connectors and a small 3" x 1.75" footprint, these hand-tuned band-pass filters require no power or user configuration and can be easily connected in-line with wireless microphone antennas to reduce noise and improve wireless system performance. 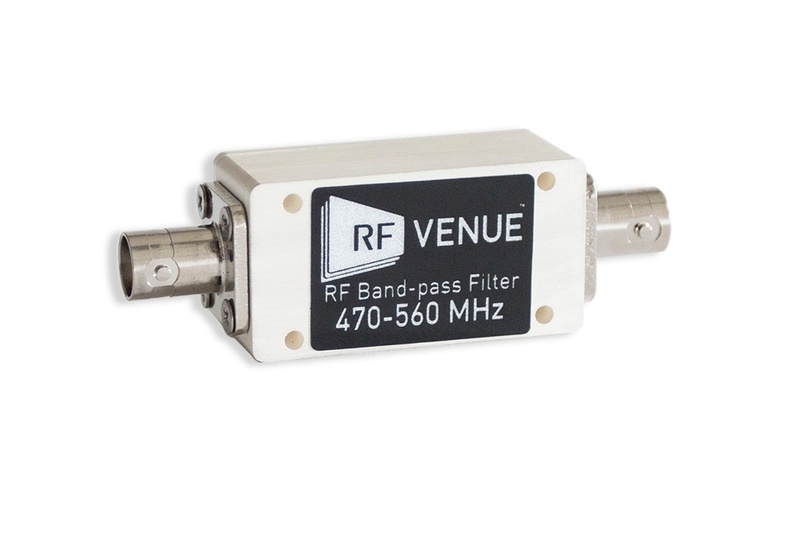 Simply connect the band-pass filter in-line with your wireless microphone remote antenna connections for 40 dB of side rejection. 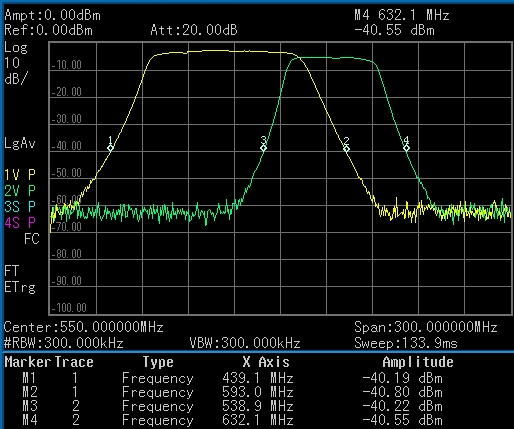 Note: (2) required for diversity wireless microphone systems.